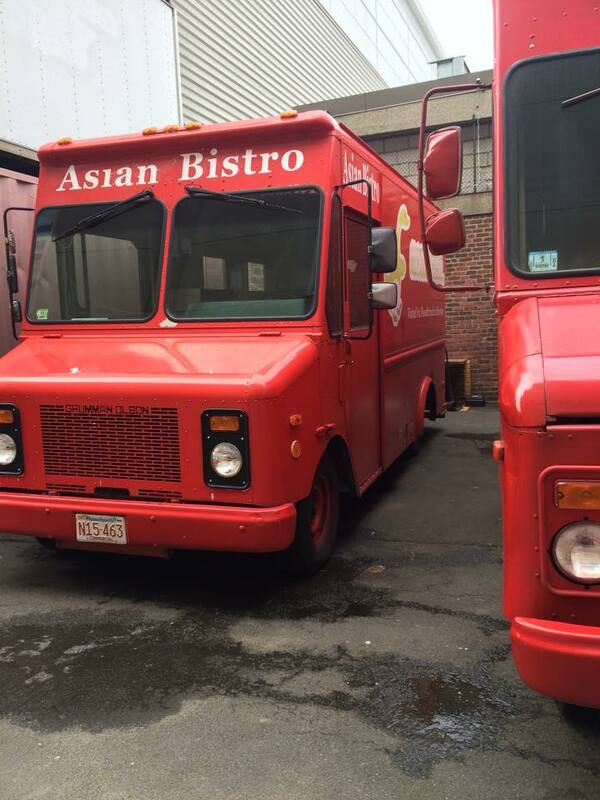 Boston is not a fair-weather food truck town. Put on your New Englander (snow) pants and get out there for some delicious eats on the street. This is Boston. Our badass culinarians-on-wheels aren't about to let a little weather keep them from serving up tasty, affordable food. Ok, some have closed up shop for the season — many of whom have cozy brick and mortars to retreat to — but others are sticking it out and cooking up belly-filling, soul-warming dishes to keep commuters, tourists, and regulars well-fed this winter. Here are four of our favorite food truck meals. Hand pies are exactly what they sound like: adorable, stuffed portable pastries. 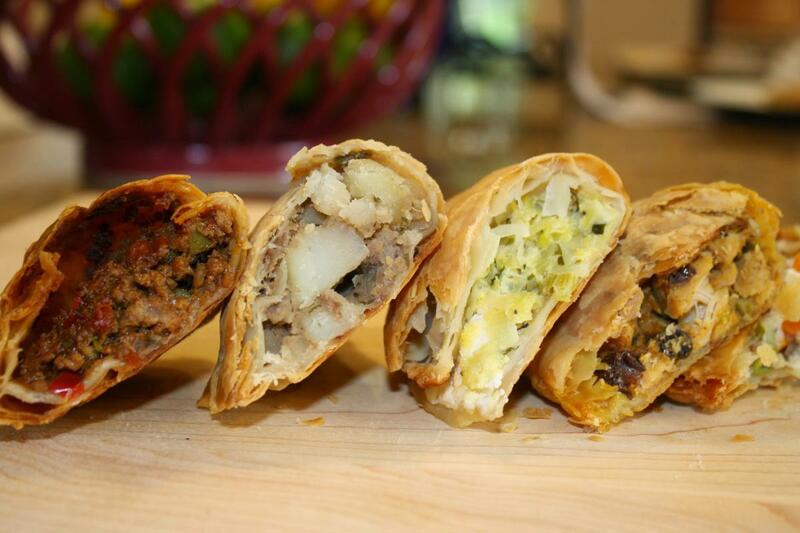 The Roving Luncbbox has a rotating menu with a diverse range of stuffings: savory, like the Cornish pasty, pastrami Reuben sandwich filling, and truffle mac-and-cheese; and sweet, like the salted caramel apple, strawberry balsamic, and cherry-vanilla. If you can think of a flavor combination, chances are that chef-owner Melissa Lynch is trying to put it in one of her baked-to-order mini-pies. 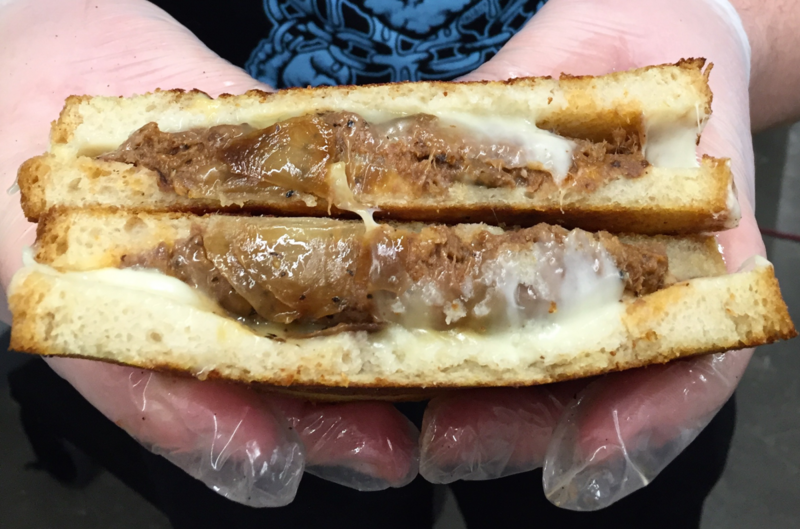 Stick-to-your-ribs fare doesn’t get better than the “Mighty Rib Melt” with fontina, braised short rib and caramelized onions. The melty-salty-sweet blend is one of the heavier items on Roxy’s menu. If you prefer to go lighter, options include the simple “Three Cheese” with Vermont cheddar, fontina, and muenster, and the “Rookie Melt” with Vermont cheddar and tomato. All of Roxy’s grilled cheeses are served on Iggy’s organic pain de mie bread, because carbs and cheese are a chilly New Englander's best friend. Breakfast, lunch, dinner, dessert—the indulgent waffles at Zinneken’s are perfect for any time of day and any time of year. 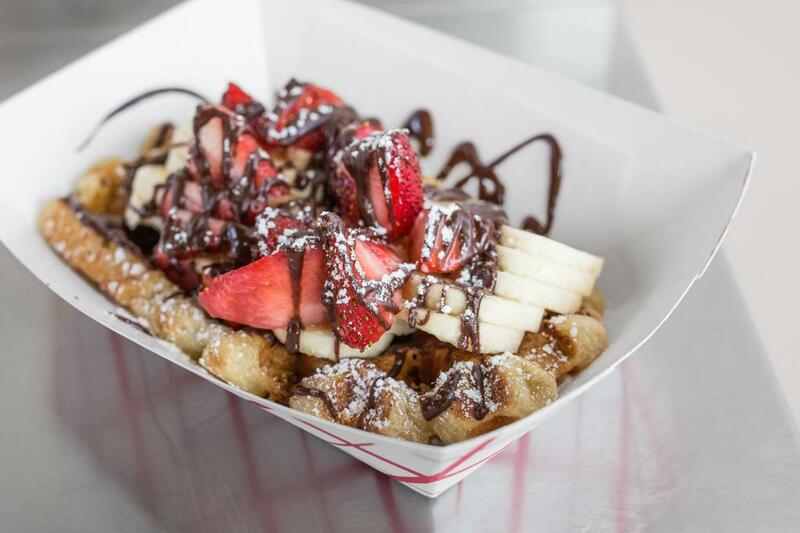 I've mentioned these guys before, but the authentic Liege waffle, made with dough and not batter, is the ideal winter street food because it holds heat especially well, according to Anh-Phi Tran, manager of the Zinneken’s Food Truck. The Southeast Asian food truck offers baguette sandwiches, rice bowls, and more, but this time of year it's all about the hot noodle soup. Diners can customize their winter weather antidote by choosing a protein: Korean barbecue chicken or tofu; grilled chicken; grilled pork; or Bulgogi beef. When available, opt for the tom yum soup, a Vietnamese specialty with a spicy kick and red tint from chili paste. I think it's worth a walk in the cold to support local food businesses and indulge in your favorite foods during the food truck slow-season. Besides, doesn't shivering burn off calories? Note: Always check Twitter to confirm that a food truck will be at a particular location before making a special trip, as food trucks can be prone to schedule changes and the occasional mechanical problem.